From ground zero of Goonies & Lord Of The Rings; child star Sean Astin grew net worth further, by landing much-loved Bob Newby, on Stranger Things. Sean Astin has broken the curse of a young child actor. He has successfully traversed into the realm of grown up and has done quite well for himself for many years, with roles in classics, "Goonies," "Toy Soldiers," "The Lord Of The Rings" and "Rudy." Unlike a lot of young child actors in Hollywood, Sean Astin has avoided becoming a cautionary tale, in a landscape littered with broken dreams and child stars gone bad. Sean Astin can chalk up his success and considerable net worth, to having a good head on his shoulders, along with the focus that comes from a supportive upbringing, in a very showbiz family. Sean Astin's late mother is none other than Patty Duke Astin, famous herself, for being a child actor. She was not only a legendary actress into her older years, but was married to John Astin, TV's Gomez Addams from the original "Addams Family," in the 1960s. Between the couple, they certainly surrounded young Sean Astin with support and good career advice and it certainly contributed to solid, stable choices, as he built his net worth to $20 million dollars. Well done Sean Astin on amassing your own pirate's treasure and taking such ownership of your life. Sean Astin was known to audiences long before he played Bob Newby on "Stranger Things." Sean Astin's legacy involves multiple movies that are now considered classics. In fact, Sean Astin has made a name for himself by playing notable and memorable characters throughout his career, which spans a whopping 32 years in the entertainment business. Sean Astin made his acting DEBUT at age 14, in "The Goonies" and his career reached new heights after booking the role of Samwise Gamgee, in Peter Jackson's "The Lord Of The Rings" trilogy. Sean Astin has hit his career gold, time after time throughout his illustrious career and what a tremendous bookend to his long list of film credits, to turn to TV and play the heroic Bob Newby on "Stranger Things." "The Lord Of The Rings" movie series hold the record for winning the most Oscars. 17 Oscars to be exact. 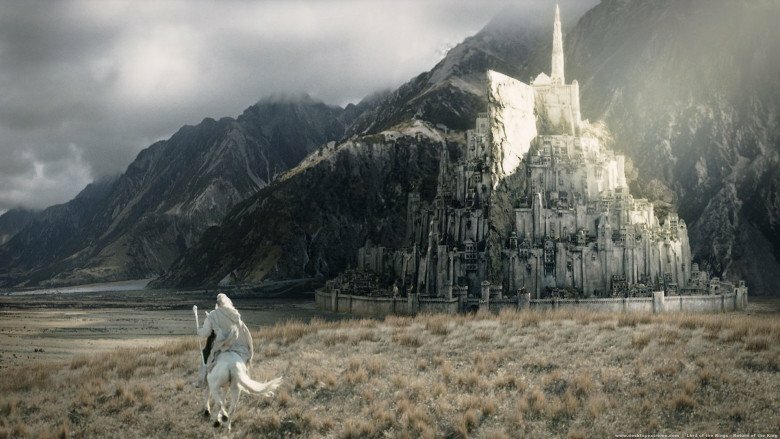 "The Lord Of The Rings," is the only fantasy film on record, to win the Academy Award for Best film. Sean Astin has built a fantastic career legacy, spanning 32 years. Sean Astin's net worth is estimated at $20 million dollars according to celebrity net worth. Sean Astin's legal name is Sean Patrick Duke and he was born in 1971 in Santa Monica, California. He got married young, in 1992, to wife Christine Astin and the couple has three daughters, Alexandra, Elizabeth Louise and Isabella Louise. He and wife Christine just celebrated another celebrity record, ushering in their 25th wedding anniversary. He stands at a height of 5ft 7" and certainly is no Hobbit. Sean Astin doesn't need to work. He has amassed around $20 million dollars from his multi-generational acting span. What drives him now, is as it always has been: quality work and enduring characters. When "Stranger Things" offered him the unique role of Bob Newby, he leaped at the chance to pay homage to the 80s and an era that he grew up in. As a former child actor, he is an affable steward to the entire young cast of "Stranger Things." Sean Astin is uniquely qualified to lead the gang on their adventures both on-screen and off, having come of age in the era the Duffer brothers and "Stranger Things" show-runners covet. It's interesting to watch Sean Astin enter middle age and reap a new career renaissance playing Bob Newby to the hilt; his member's only jacket and hokie tunes encompass Newby's nerdy need to please Joyce and try to save her son. Actors Sean Astin and Winona Ryder enjoy a moment on set, coming full-circle in their long careers that saw them first as child actors and now, over 30 years later, playing adult roles in the cult favorite "Stranger Things." Sean Astin on the Stranger Things universe. The Duffer Brothers have made no secret of their homages to "Poltergeist," "ET The Extra-Terrestrial," "Stand By Me" and "The Goonies." Trust me, when Sean Astin, as Bob Newby says, "What's at the X? Pirate treasure?," it's a direct reference to his endearingly sweet asthmatic character Mikey in 1985's "The Goonies." When Sean Astin signed on to play Bob Newby, for season 2 of "Stranger Things," he didn't know how his character was going to meet his demise. Sean Astin wanted a good death and "Stranger Things," gave him that, along with a new generation of fans. Nerdy Bob Newby has become the next hashtag, #justiceforbob. Adding to a long list of classic roles, with "Stranger Things," Sean Astin's legacy is secure - to quote Bob Newby, "Easy peasy." "You never know, but the odds are pretty small. Unless I come back for a flashback. But no, Bob is good and dead." Sean Astin has a reputation in Hollywood as being a nice guy and he is certainly proof that nice guys don't finish last. Here's to Bob Newby's next golden ticket via star casting in the next project that places him forever in the public conscious; as a happily-married family man, Sean Astin deserves it.